It’s been a long time since Facebook released its dedicated Facebook Messenger app for iOS and Android. Back in November, the app also received a major redesign for both platforms. 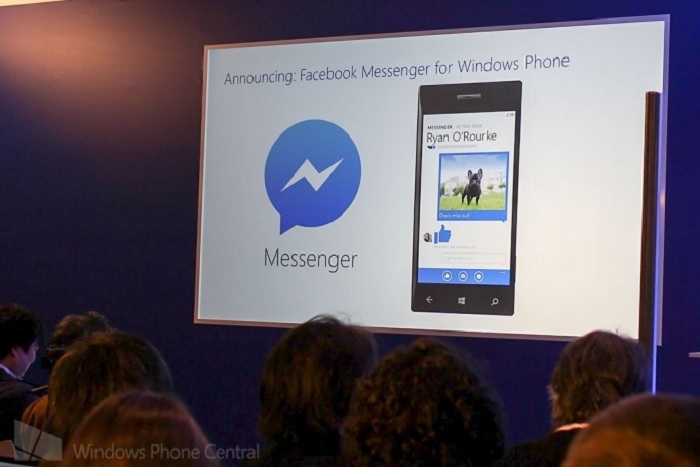 At the pre-MWC 2014 event, Microsoft announced that Facebook Messenger will launch on Windows Phone in the next coming weeks. The announcement was made by Microsoft VP Joe Belfiore who announced the app will make it’s way to Windows Phone platform. The app is a result of the collaboration between Facebook and the Redmond-based company to provide Windows Phone users with an extraordinary messaging experience on their devices. There’s no word about the features the application will bring for the operating system, nor an expected launch date when users can expect the app to hit the Windows Phone store. It’s pretty good to see that popular apps are slowly making their way to the Windows Phone Store, and if the trend continues, there’s a chance that Windows Phone OS market share will increase. Although we’re hoping more manufacturers will jump in the Windows Phone bandwagon this year. Stay tuned as we’ll update you as soon as the application is available in the Windows Phone Store.